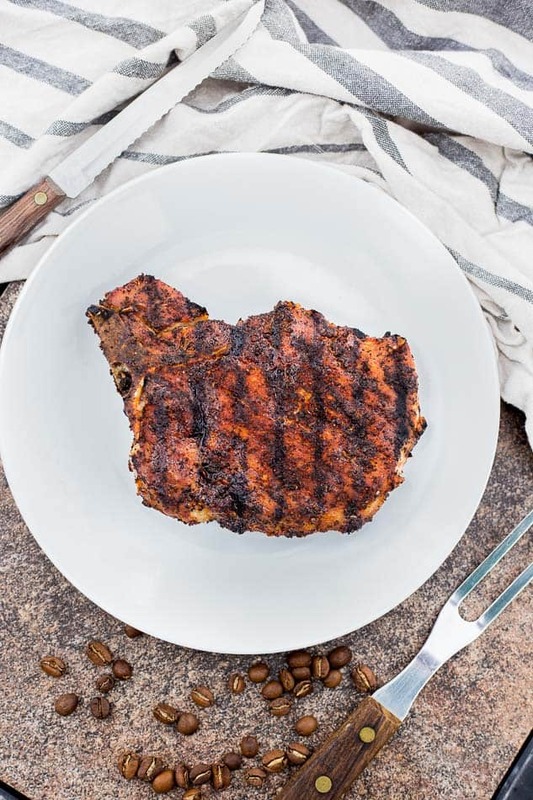 Easy spiced Cowboy Coffee Rub Grilled Pork Chops. Coffee, brown sugar, smoked paprika, garlic, spices and herbs creates caramelized, tender grilled pork. 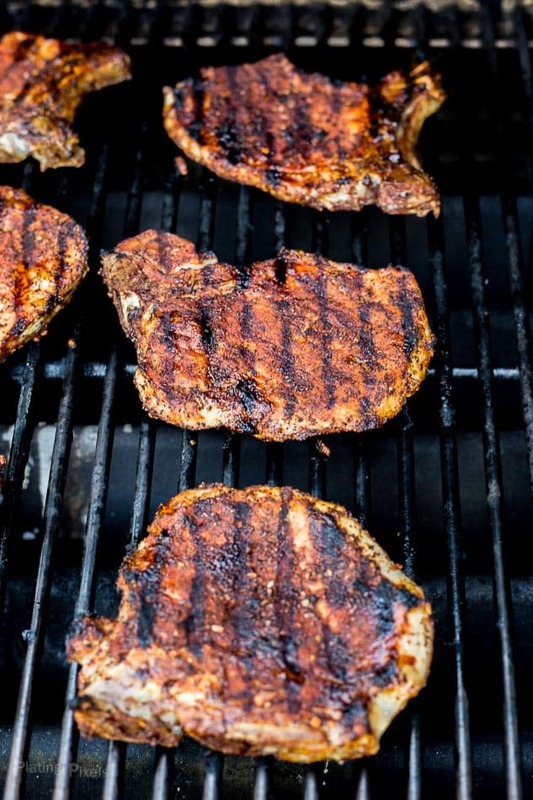 Grill it like a steak…but with pork chops that it. Pork chops are often roasted in the oven or cooked over the stove, but they are wonderful cooked over a grill. Plus with thick, high-quality and natural pork chops you won’t be wanting anything else. 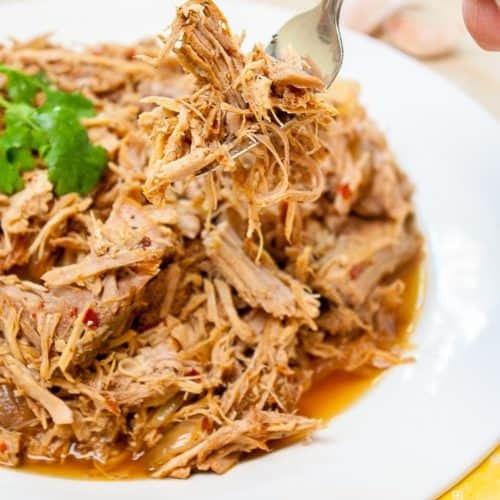 Pork makes a simple and flavorful weeknight meal, even cooked over a BBQ. 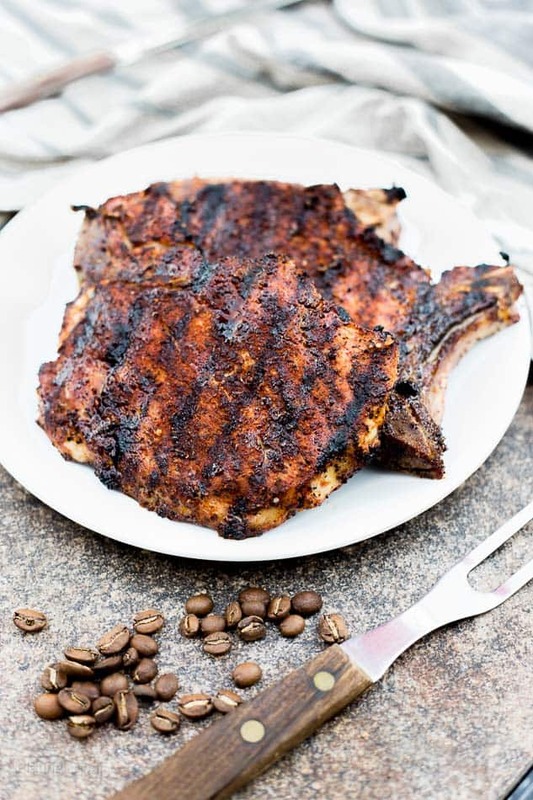 These Cowboy Coffee Rub Grilled Pork Chops use a simple homemade rub that penetrates flavors deep into the meat. I mean it’s literally glistening with flavor once you grill it. Just look at those rugged, cowboy inspired chunks of delicious pork. 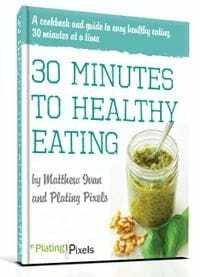 You can easily make this beautiful recipe in less than 30 minutes and with a handful of common pantry spices. 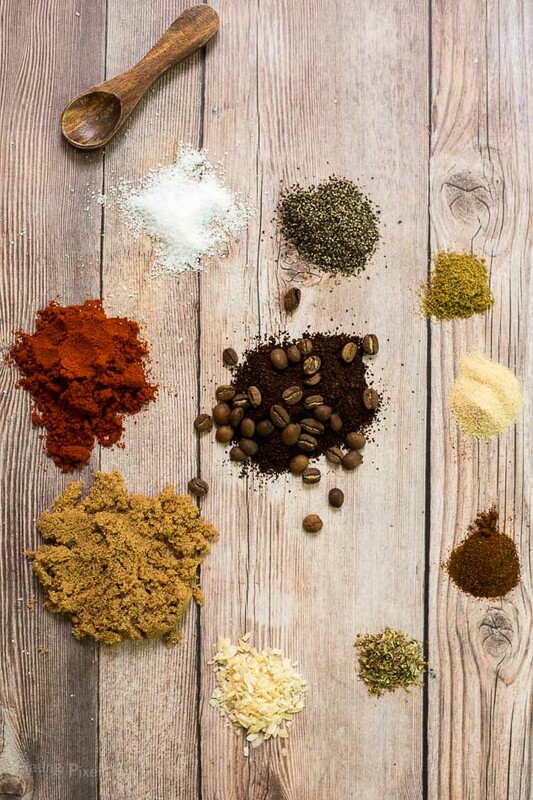 There’s a few key ingredients to the cowboy coffee rub. Coffee, obviously is a subtle, but important flavor. Paired with smoked paprika, cumin, herbs, chili powder, dried garlic and onion. Another critical ingredient is brown sugar. It helps hold the rub together as well as adds a nice caramel sweetness to the grilled pork chops. 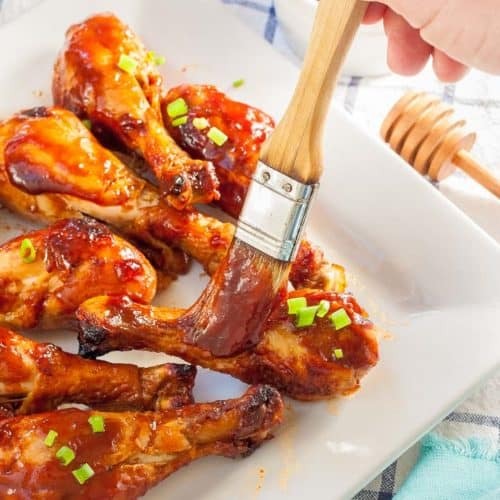 On that note, the rub actually caramelizes into a crunchy, smoky, spiced, sweet…you get the point….rub. Cooking tips: If you love your pork medium rare, cook to an internal temperature of 145 degrees (followed by a 5 minute rest). If you like your chops a little more done, you can cook them to an internal temperature of 160 degrees. Flavor profiles: Meaty with caramelized spices and brown sugar. Texture: Thick, tender grilled pork with a crisp, charred coating. Unique and flavorful spiced coffee rub grilled pork, perfect for summer barbecues. In a small bowl combine all ingredients except pork chops. Sprinkle mixture onto both sides of each pork chop and rub in until well coated. 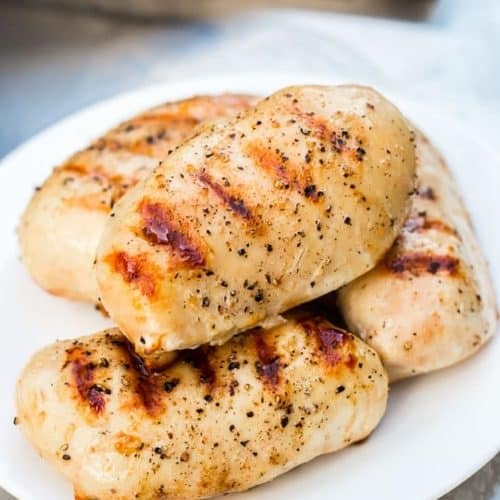 Preheat charcoal or gas grill to medium-high heat. Allow pork chops to sit up to 20 at room temperature up to 20 minutes (optional) for flavors to soak it. Lightly grease grill and cook pork with lid closed, about 5 minutes per side, or until slightly charred and cooked to desired doneness. See cooking tips above for suggestions. I made this over for Mother’s Day and it was amazing! But with the recipe it shows pepper twice, is this correct or is there supposed to be something else? I just did it once and it turned out fine. Thanks again for the delicious recipe, I’ll definitely be making this again!! Hi Cassie, looks like it should have been cumin as the second listing. 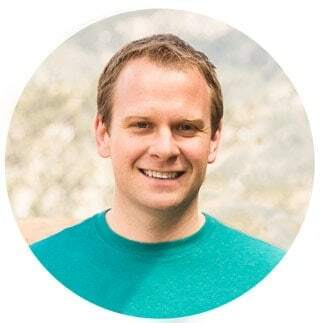 Thanks for taking the time to leave feedback and ask. I switched recipe plugins recently so it may have not converted properly. All fixed now! I am going to try this recipe w/ my new sous vide machine. It’s similar to a rub I’ve used w/ pork tenderloin and that turned out super yummy! I think I messed up that recipe in a way by using coffee grounds, and not fresh ground coffee. Oops. Still good, though. Hi Laura. Thanks for the feedback. Correct, I don’t think you need to too much coffee grounds. I love sous vide and this would be great for that! Of course, give it a good sear after cooking. How thick are the pork chops? Hi Carol. The bone-in are about 1/2 inch and boneless 1 inch. Thanks. They totally are and even better with the spices! Thanks David! This is absolutely heaven to my husband! I’ll send it to him. Haha I bet it would be! Thanks Kate! This combo is something new to me. Sounds and looks so YUM! Definitely worth trying. Thanks Kushi! Love coffee rub too! Absolutely adore it with steak. That pork looks so nicely grilled n juicy! I love the combination of coffee flavored meat, bookmarking to try soon. Super juicy indeed! Thanks Molly!